﻿ What does one really expect from a new Nine Inch Nails release? Trent Reznor has always been something of a maverick in his creative work, but with longtime collaborator Atticus Ross now onboard as the band’s second permanent member, the dynamic of Nine Inch Nails has shifted by some distance. At least, that’s what could be gleaned from last year’s EP Not The Actual Events, seeing the band embrace jagged, jarring sounds and transitions to the point where Reznor and Ross’ experimental tendencies may have overtaken the seeds of industrial melody that fueled their crossovers through the ’90s. As for Add Violence then, the second in a trio of EP releases, it feels like a simultaneous evolution and expansion of what was brought to the table on its predecessor. More so the latter, as while some of the synths feel tighter and more precise, Add Violence lives and dies on Reznor and Ross’ expertly crafted yet totally uncomfortable atmosphere. Just take The Background World for example, the 12-minute closer that spends its final eight minutes running through an electronic loop that becomes more and more corrupted until all that’s left is a flood of static. That may be Add Violence at its most extreme, but there’s still a feral impenetrability that makes this a difficult, disorienting listen. There’s the icy, minimal thrum of The Lovers which clashes with the violent, chainsaw-like grind of Not Anymore, and even in arguably the most palatable track Less Than with its darker synthpop drive, there’s an element of unsettled darkness screaming away beneath the surface. It’s not an easy listen, nor is it a particularly pleasant one, but that seems to be the point; as ugly, misanthropic and nihilistic as Add Violence can be, Reznor clearly knows this and does all he can to exacerbate it. It certainly brings up the notion of how listenable this EP actually is, and for as clear of a ripped-up fragment as this is, again, that seems to be the point. It makes coming to a conclusion about Add Violence all the more difficult. On the one hand, this is an exemplary display of how subversively brutal Nine Inch Nails can be when they want to, and how they’re still breaking boundaries in terms of how electronic music can work. But on the other, this is bleak listen that really doesn’t offer much of an incentive to return beyond an aural mangling. But then again, that embrace of noise has been Nine Inch Nail’s forte in the past, and Add Violence sees them return to that path once again. Perhaps even more so, it gives an indication of the direction that third EP might take, and how Nine Inch Nails might be ripping the rock world to pieces once again. 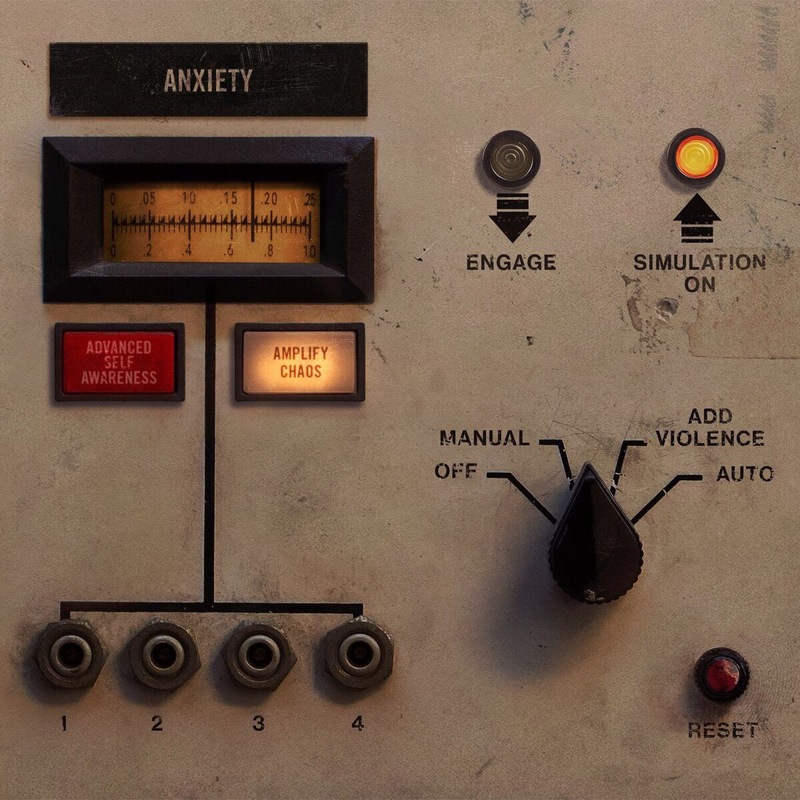 ‘Add Violence’ by Nine Inch Nails is out now on The Null Corporation.